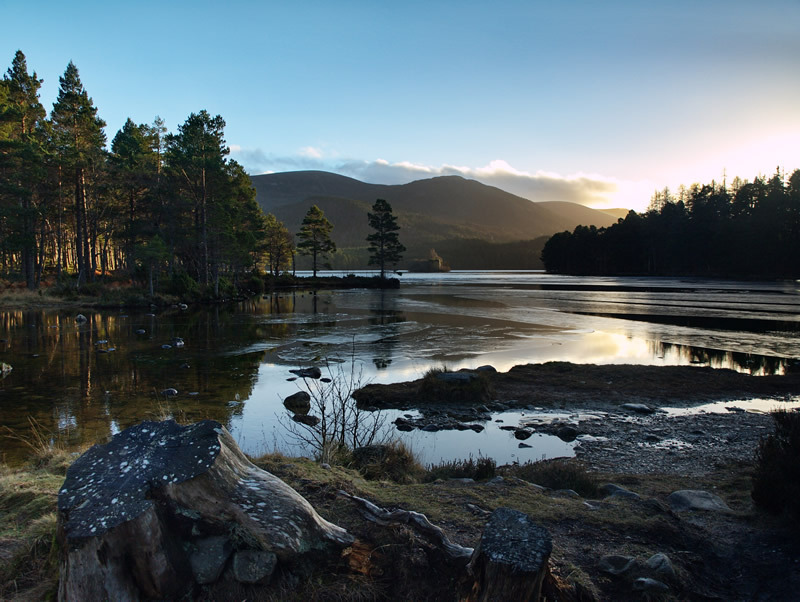 Loch An Eilean, Cairngorms National Park, Scottish Highlands. Very nice composition and light reflection! vegnetting in the top right corner?